Bring the family to a weekend of festivities during El Reno's Small Town Weekend celebration. 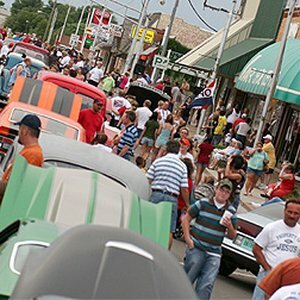 Held rain or shine, the Small Town Weekend will cruise into town this June to celebrate everything nostalgic on the local strip of Route 66. 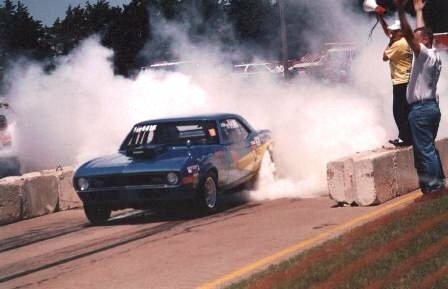 Numerous events will be held throughout the weekend, from the only legal drag race and burnout on Route 66 to grass car races and an open car show. The Small Town Weekend will also be filled with children's activities, festival food, vendors, live entertainment and more. On Saturday, head out to the car show to admire classic and modified cars, among other sleek vehicles. A closed route cruise on Route 66 in the evening closes out the day's events with more events lined up for Sunday. Bring the whole family out for this memorable Mother Road experience. Held in Adams Park on Route 66 in El Reno. From I-40, take Exit 123 (Country Club Rd.) Travel north 1.5 miles on Country Club Road and turn right onto Parkview Drive. Travel west to Indian Trail and turn right. Adams Park is on the right.